Pueden acceder desde ese link a nuestra página. Nuestro último lanzamiento ha sido relanzado por el netlabel Test Tube: La nueva edición es diferente de la editada en Agosto de este año por A.M.P. Todos los temas han sido remixados/extendidos, y se incluye además una canción nueva. Además, incluye nuevo arte de tapa. 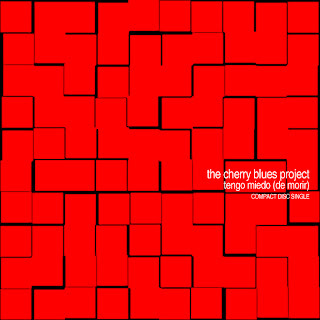 The Cherry Blues Project is a well known two-people-project from Argentina. They have released a handful of works on the excellent Resting Bell netlabel, touching the experimental genre and folk music languages, as well as heavily relying on field recordings to build their works. 'Dead Hours' is their brand new album, a refreshing collection of compositions going well over a hour and covering pretty much all the territories that are familiar to the duo's sound geography. Some pieces are more on the field recordings side, while some others are clearly experimental works, while others yet have distinct folk arrangements and acoustic treatment. There are also some alternative mixes and remixes thrown into the bag, showing that Cherry and Blues are very confortable doing what they do best: designing specific audio environments. Circles Around The World is a various artists compilation that can be seen as a celebration of the 25th release in Audiotalaia Netlabel. Over this two years of work we have been releasing works from artist all around the world. For this special occasion we want to deliver a gathering of works under a common concept. We asked the artists to work under certain premises. We asked them to try to portray some concepts or ideas on those pieces. Those concepts were based on the idea of a circle or cycle around the world, a journey across countries and cultures. The artists have been working on those ideas from the sonic point of view. Some of them have delivered tracks that represent features from the regions where they live. Some others have based their sound on travelling literature translating text into music. Some others have been working on soundscapes and sonic structures from their territory. All together the compilation becomes a journey across the world, a conjunction of spaces, structures and scapes from all over the world. All of them are a representation of the thoughts and interests of each artist and their own perspective of the world. CIRCLES AROUND THE WORLD by Various Artists is licensed under a Creative Commons Attribution-Noncommercial-Share Alike 3.0 Unported License. Based on a work at www.audiotalaia.net. 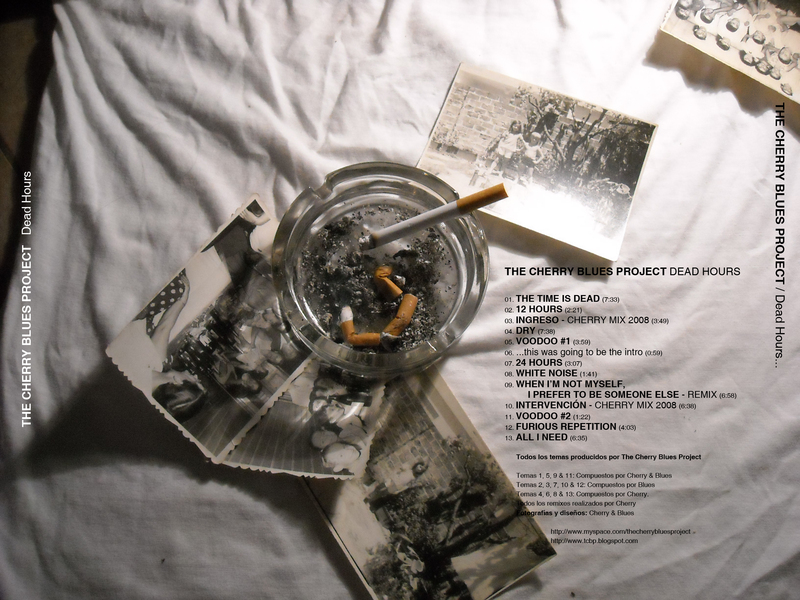 “The Psychiatric Years EP” is rescued material from TCBP, about 4-5 years old, compiled into two EPs. “Vol. 2” contains 8 tracks. All rather short, between 1:30 and 3:30 minutes. And the tracks can be seen as little folk-tales. Main themes are rebellion, madness, loneliness, despair and death. And so the mood swings between dark, melancolic and engrossed. The recording-quality is pretty low but in my ears that gives the record a charming outfit. You can hear footsteps, screaming, radios in the background. But all these elements give the songs a great ambience. 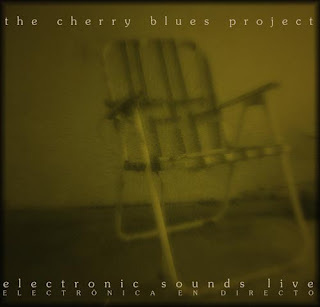 Just some words about The Cherry Blues Project: The Cherry Blues Project was formed in 2001 as a soundart project in Argentina. It was created by two members that use the pseudonymns “Cherry” & “Blues”. Until today they released a big number of albums and material, mainly focused on experimental and improvisational music. The Cherry Blues Project, a two-people-project from argentina, was one of the first artists on Resting Bell. 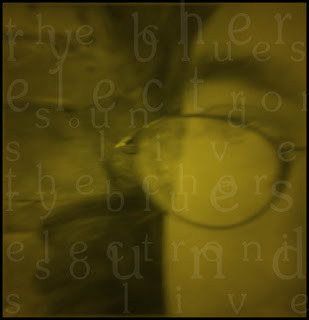 They are mainly known for more experimental music, field recordings, noise and improvisation. For their “new“ release on Resting Bell they did something you wouldn’t expect. They recorded a folk record. 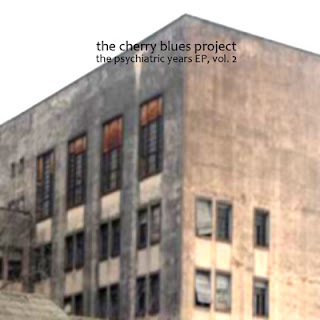 “The Psychiatric Years EP“ is rescued material from TCBP, about 4-5 years old, compiled into two EPs. All the material is folk music. Songs with melodies and structures, mostly done with guitar and voice. The production sounds really noisy in some places. Hisses, background-noises, rough sketches of songs and ideas. A great meeting between traditional song-structures and a growning experimental background. Keep your eyes open and watch out for part 2 of this recording. compuso durante su internación en un hospital psiquiátrico. Es Blues en estado puro. demuestran el estado en el que se encontraba. También se destaca la dificultad que él tenía para tocar la guitarra. The Cherry Blues Project no quería dejar afuera este lado desconocido de Blues. Las grabaciones han sido rescatadas y remixadas por Cherry. en “Love Songs” y otros han formado parte de diferentes recopilaciones. Dicen que pudo superar todo eso con la edición del clásico “Love Songs”. personales y desgarradores como “Mother” & “God”. 2808197611052007 (más conocido como “La Muerte de Blues”). quiero despertarme o seguir soñando. Sería como pellizcarse, como una comprobación. La realidad está latente, el sueño también. Quiero abrir picaportes uno tras otro...hasta el último." 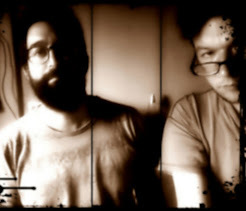 Tema "Love", del disco "Canciones de Nuevos Mundos"
walkinginmyhead from auderoseselavy on Vimeo. experimental video shot in the pool of stadtbad wedding in berlin, shoot little hd sony camera worked on premier. weddingpool from auderoseselavy on Vimeo. experimental short video, shot in a pool in berlin, well not much to say for now, still wondering wether its bad or good, maybe just flotting into non sense. special thanks to raquel who followed me in my trip!!! no clue just the end of a cycle turning in my head. Tema "Soplapa Cherry Mix #1"
papiers froissés from auderoseselavy on Vimeo. Nuestro último lanzamiento ha sido editado por el netlabel AMP Records. 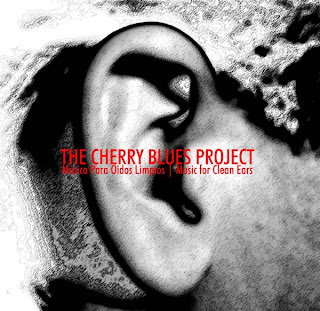 We are a duo from Argentina, "The Cherry Blues Project". We are interested in your label and we would like you to listen to some of our music. We make experimental music, noise, ambient, soundart, field recordings and soundscapes and we have a lot a of material that could be labelled as "anti-music". We'd like to know if there is chance to release one of our albums on your label. saludos amigos ! escuchado su disco y me parece fabuloso ... . digame que tiene en mente ? por el momento en amp-recs tenemos 3 discos por sacar para descargas y 5 cdr que se estan preparando me interesa bastante el disco que mandaron digame . que tiene en mente .. me gustaria . colgarlo en el sitio de amp-recs ... y en el futuro ir preparando algo para cdr .. digame cual es el plan con este album .... un saludo grande .. arturo . . I know your work well. I'm a fan of Resting Bell and many other labels too. Thanks for getting in touch and for the opportunity. I'd be very pleased to have a release by 'The Cherry Blues Project' in our humble label. We will keep in touch and I will try to give you a possible date for release as soon as possible. Claro que os conozco! yo mismo remixé un par de temas vuestros en vuestro último release de Resting Bell! Bien, escuché el album y me parece muy interesante, siempre he seguido vuestro trabajo y estamos encantados de recibir vuestro a The Cherry Blues. Como siempre, el concepto detrás de vuestro proyecto encaja muy bien con la filosofia de Audiotalaia. Sin embargo (y hablando con franqueza) hay algo que no nos acaba de convencer y eso es el diseño del album. Vimos que no acaba de encajar en el tipo de estetica que nos interesa. Hemos estado revisando los artworks de otros de vuestros discos (y de Adrián Juárez) y sinceramente són muy buenos! Es posible revisar la estetica del artwork? Ví el artwork para Amílcar y nos encantó! quizás se podria hacer algo en base a eso. Bien, espero que todo esto no sea ningun inconveniente y podamos publicar este album. Realmente estamos muy entusiasmados con la idea de tener los remixes de Adrián Juárez y los de The Cherry Blues Project bajo un mismo techo! though your music is quite good (reminds me of the amazing Stars Of The Lid which I fall for!) I'don't really think it would fit Frozen Elephants since it's not really what we are looking for. I hope you folks understand... the music is great, we're just not the right label. Good luck for the future! Keep us updated whenever you play around Berlin. Many thanks for your email, but at the moment we aren`t looking for any new artists as we are booked up way into 2008 already. Thanks and best wishes for the projects! Thank you for getting in touch, and sorry for my late reply but I am very busy here at the moment. Wow, you sent me so many links, I guess I cannot listen to all of them but I click on a few ones. It sounds good, though it's maybe a bit too much in a dark mood for me. Well, actually the label doesn't release more than 3-4 releases a year and therefore our plans are already full for at least the end of 2008, so I don't think I can offer someone an album before a long period of time. Thank you and a good continuation with your music. We would also check the demos, you uploaded on the rapidshare, and contact you again to discuss the possibility of releasing some of your wonderful music. I'm just sending you this message to stay in touch - we do not forget about you guys, and we're looking forward to check all of your demos to decide which of your works will be perfect for top-40.org label. Thank you for your letter,for your attention.We are in Switzerland on the next week,we listen your music and answer completely a bit later. Thank you very much for your letter! You gave us a lot of links, so it'll take some time to check all of them, and we'll get in touch with you. But please, be patient! It won't be very soon. Unfortunately, i'm not able to check the demos, which are at rapidshare.com, because my Internet operator provides only one external IP address for all users in my local network, and it's always busy. But i'll check them later, from my office computer. Thank you again. It's very nice to have your feedback. de todos modos, dejarme que me vuelva a organizar y os contacto de nuevo. Como os digo, antes tengo que arreglar los problemas de conexion. muchachos, me cortaron el telefono los malvados de telefonica, en esta semana teoricamente me lo conectan de vuelta y, con el, la gran gran internet! ahi me meto en todos lados y escucho todo. pd: cuenten algo! cuantos son. con que tocan, si hacen fechas... o algo mas. Sí, es posible, un interesante proyecto el vuestro, que además encuadra muy bien en nuestro sello. En concreto el concepto de tren, de desplazamiento, de viaje, de movimiento, que recalcáis a través de estos singles tienen mucho atractivo. ¿Tenéis la idea de publicar varios singles o simplemente "Babies" en Ruidemos? thanks a lot for your request. Sorry for the delay, i was on holiday for a few days. Oh, yes, there is a chance to release your music on Resting Bell. Your pieces are really great and they fit perfectly into the program of Resting Bell. I listened to Station Pt. 1 and Pt. 2 and some videos, and i will listen to all the rest soon. Great work! Really, really great! So, if you want to, we can make a Resting Bell-Release. 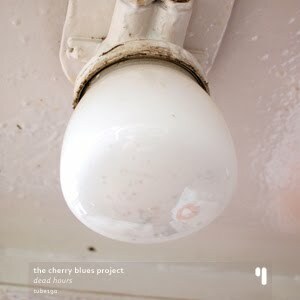 Hello The Cherry Blues Project! 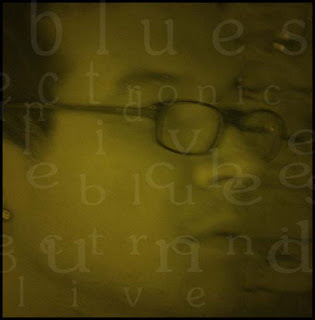 Thanks for interest to a netlabel! Your music and sound are excellent!!! I shall be glad to make release of your music on Clinical Archives! I shall inform number of the catalogue and an exact date of issue to you a little bit later. Once again thanks for an excellent and extremely interesting sound!! En primer lugar agradecerles la prontitud con la que nos han hecho llegar su trabajo y el interés demostrado en participar de nuestro netlabel. No obstante, después de una escucha en profundidad de su propuesta hemos llegado a la conclusión en votación mayoritaria de que no nos parece apropiado incluirla en él. Estaríamos dispuestos a ofrecer información en nuestra lista de descargas musicbox, pero no a presentarlo como una propuesta de nuestro netlabel. Lamentamos los inconvenientes que esto pueda causarles. Esperamos que esta decisión no les desanime a enviar futuras propuestas que serán valoradas con toda atención por nuestro equipo. hola que tal mi nombre es Raul la verdad es que es muy interesante su proyecto nos encantaria poder tenerlos dentro de nuestro roster es bastante inteligente y melodico y obiamente tienen forma de comunicarse que no se por medio de correo electronico? como el messenger de hotmail yo me encuentro en linea todo el dia y les agradecemos el que nos contesten en ingles pero or alguna rason hasta el momento todos nuestros artistas tienen influencia latina me da mucho gusto miren no se si seria mucho pedir por lo menos 3 tracks que mantubieran un beat constante de porlomenos 127 es pero que no se molesten por que en realidad lo de ustedes es muy bueno pero el label como apenas se encuentra arrancando por el momento se les esta enviando los track promocianales a gente como Matew Dear ,Ritchie Hawtin , Magda ,Luciano, Villalobos y ya saben Dj's para poder agarrar terreno en el mercado si les gusta la propuesta le entramos !!! 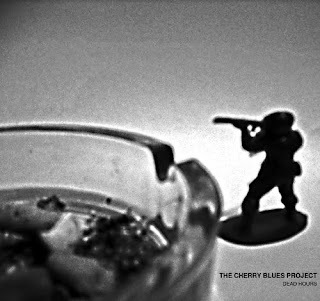 Hola Gente de Cherry Blues Proyect. Habla Pablo *****. los videos que he visto en youtube. discos y les doy una respuesta. además ¿que me recomiendan que escuche de su discografía?. recibíamos cerca de 1.200 visitas al mes. Para presentar su trabajo a través de M Netlabel deben enviar un enlace válido de descarga (los archivos comprimidos en un solo archivo) de un trabajo reciente que quieran que aparezca con nuestro sello. El archivo comprimido debe contener los archivos de audio así como el diseño de imágenes de cubierta. Nosotros descargaremos el archivo, estudiaremos su propuesta y si creemos que puede interesarnos incluirla en nuestro sello se lo notificaremos. En cualquier caso tomamos nota de sus trabajos anteriores para referenciarlos en nuestra web. Antes que nada, muchas gracias por los comentarios y por pensar en nosotros; nuestro sellito es también muy humilde, pero hacemos lo que podemos por hacer algo lindo e interesante, editando lo que nos parce que vale la pena. Les contamos que tenemos absolutamente completa la lista de ediciones para este año y comienzos del siguiente, la que incluye varios discos y un DVD, que van a agotar nuestro presupuesto y nuestra capacidad de distribución; así que declinamos humildemente vuestra oferta. Pero esperamos seguir en contacto, ¿no? Un saludo grande, que sigan las ediciones y las deformidades! "Música para Oídos Limpios" | "Music for Clean Ears"
"Electronic Sounds Live" es un disco compuesto, ejecutado y grabado simultáneamente en Diciembre del año pasado. Diríamos que es lo su nombre indica: sonidos electrónicos en directo. El álbum probablemente sea editado por el Netlabel "Earth Monkey Productions" durante este año.